The patented V-Sign™ Sensor technology combines noninvasive measurement of multiple parameters in one digital sensor designed for use on neonatal, pediatric, and adult patients. Smart CalMem reduces the number of required calibrations; calibration status is maintained for up to 30 minutes following disconnection of sensor. Easy, gentle sensor application with multiple application site options like the ear lobe, forehead and cheek. 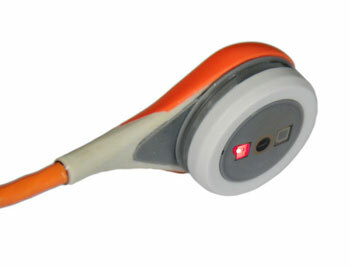 Sensor head is small and lightweight with a highly flexible cable.